Such a beautiful post, in so many beautiful ways. I walked by a local cemetery today and was awed and deeply humbled to see all the American flags on the graves. Thank you, indeed. Your story brought tears to the publicist’s eyes. The Marinelli family is such a beautiful inspiration. Thank you and Happy Memorial Day. What a moving occasion. You’re quite right to be proud. So beautiful, in both words and images! Your pride for your children shines through. Thank you for sharing. Stunning pictures. 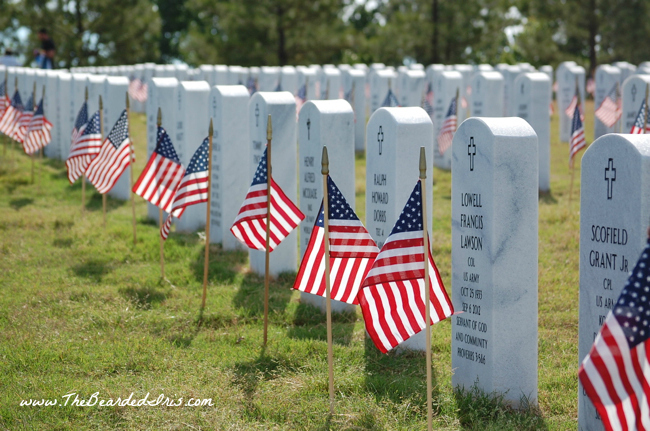 Seeing thousands of graves adorned with flags makes me choke up—and realize the price we paid for our country’s freedom. 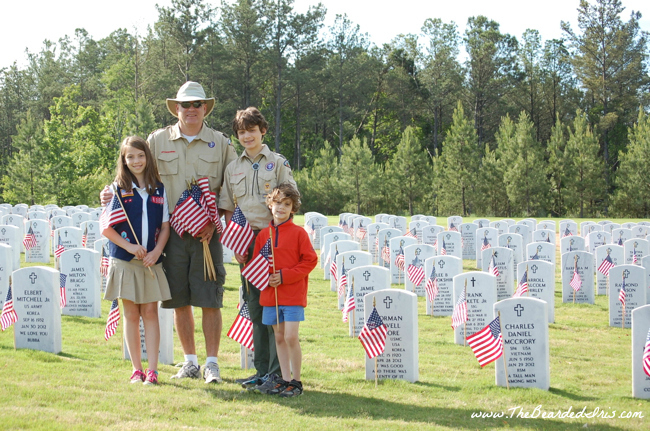 Thank you for sharing this poignant moment with your family. That was beautiful. 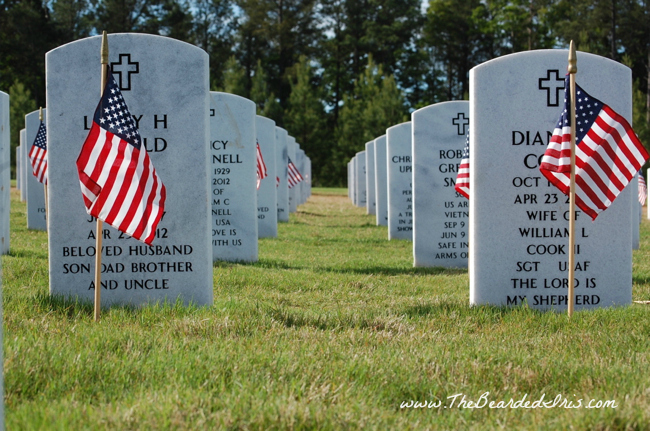 One of the most amazing experiences I ever had was visiting Fredericksburg National Cemetery, which is part of Fredericksburg and Spotsylvania National Military Park, on Memorial Day weekend because my girlfriend lives in Spotsylvania. 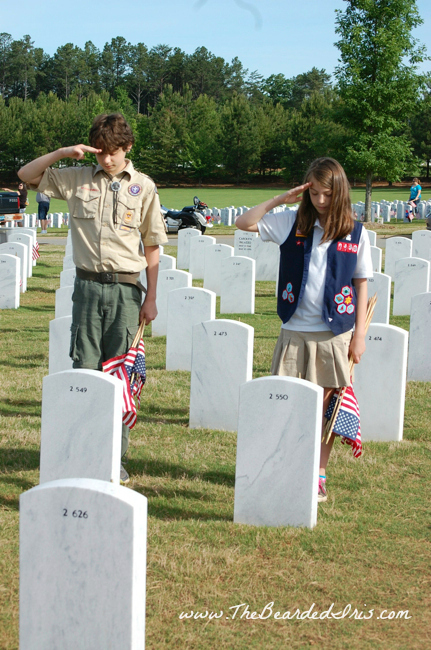 Volunteers light candles in luminaries at each of the graves and Taps is played every 30 minutes. It was incredible. Thank you thank you thank you! For my father, my father-in-law, my brother, my brother-in-law and now my son-in-law. It’s families like yours (and mine) that are the heart and soul of America. Sometimes living up here in kookoo Humboldt it is hard to remember. Katie’s poignant photo was on the Pioneer Woman’s site again. Her grace under the poignant sadness of a military funeral still amazes me. Awaiting Jimmy’s return from Afghanistan soon and Aimee (oldest daughter) got engaged at the fabulous Giants game on Saturday! Remember the blog you could not read…..God does answer prayers! Proud, proud, proud. You absolutely should be. What a great group you have there. You’ve done good, girl. This is just wonderful! 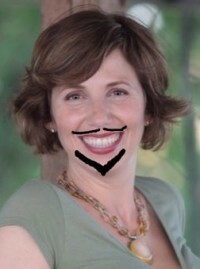 I did see that photo but didn’t know that it was your son! 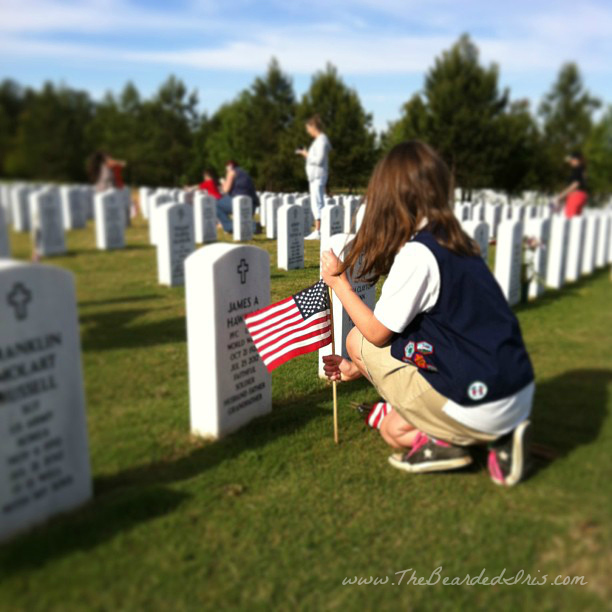 Your kids are awesome and this adult liked being reminded that holidays like Memorial Day are about a lot more than what we should put on the grill that day.